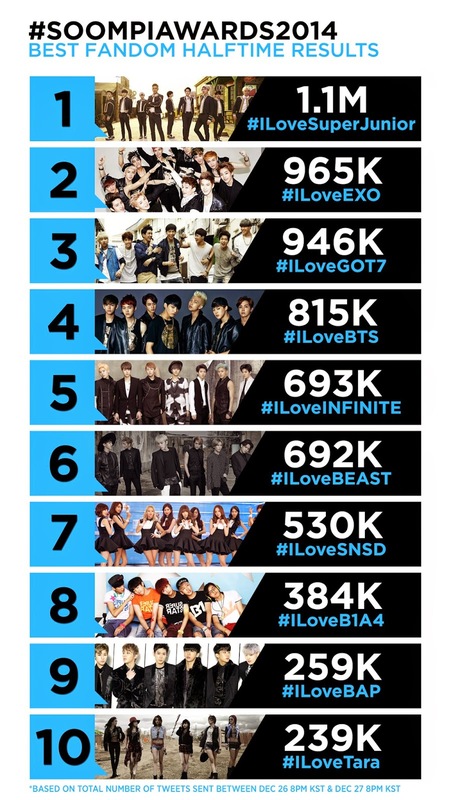 B.A.P is in 9th position. Let's not loose hope Babyz! Keep trying, we know you are working hard! 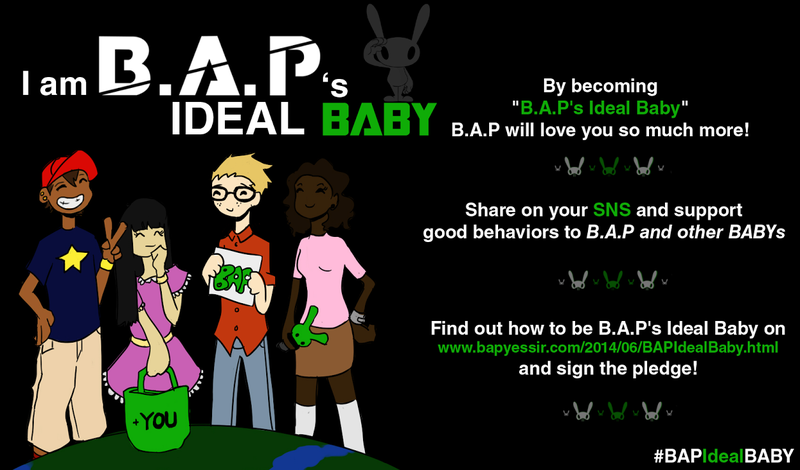 At 8PM KST on January 1st, we need to tweet #ILoveBAP again. Welcome to Best Fandom voting for this year’s Soompi Awards! We know that K-pop fans are some of the most powerful fans out there (remember blowing up the EMAs?) and we wanted to include a category to allow fans to be loud and proud! For Soompi Awards 2014, we will be including a special “Best Fandom” category that will be determined based ONLY on voting from Twitter! Voting will consist of two 24-hour periods on December 26 and January 1. Both voting periods will start at 8PM KST and end at 8PM KST (exactly and only 24 hours!) Please note that only votes that use the corresponding hashtags (#ILove_________) and are tweeted during those two periods mentioned will count. However, there are no restrictions on how many times you can vote, so be sure to vote with the hashtag as many times as possible during the two 24-hour periods! Perfect time to profess your love for your favorite idol, amirite! You can also click on the icons below to tweet!